Regardless of what the weather may be doing, we all know that Spring is just around the corner. Everyone knows that very soon the planting season will be upon us. It is never to early to plan for your garden. We have Richard, from Old World Farms back…. Pressure Points Every Prepper Should Know! Ryan & Colin Buford â€œThe Next Generationâ€� Audio player below! My husband and I had to make a quick road trip. I worked the entire day and was told when i get home grab what I needed so we can “load and go”. Well, I run into theÂ house, grab some clothes, a toothbrush, chargerÂ and laptop in our bag…. Between allergies and ailments there are a million reasons to be more strategic food storage these days. On this episode Morgan goes into great detail about the benefits of storing food for specific diets. 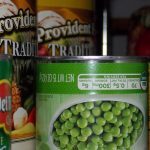 Listen to “Storing Food for Specific Diets – Rogue’s Guide to Preparedness” on Spreaker. Continue reading Storing Food for Specific Diets at . Morgan breaksdown the interesting life and lessons of the homeless. She goes over what we can learn from them in regards to surviving without four walls and the common conveniences. You are going to love this impassioned breakdown of myths in our world. Morgan does a great job at dispelling some of the biggest myths and she talks about the why and her own personal experience, as well. When Living The Dream Is An Option. The Next Generation of Prepping with Ron Foster! The Sharpest Tool in the Shed! The post France’s Riots Proved a Taxation Breaking Point That we all Fear appeared first on American Preppers Network.